The COSMIC program has recently been funded by the National Science Foundation to expand Suominet into the Caribbean. The objective of this expansion is to improve the forecasts of hurricane track and intensity using continuous observations of integrated water vapor. In collaboration with UNAVCO, we will install and operate a network of up to 15 GPS stations in the Caribbean. They will all be equipped with meteorological sensors and the data will be analyzed to retrieve precipitable water vapor (PW). The derived PW data will then be assimilated into the Weather Research and Forecasting (WRF) model to evaluate what impact they have on hurricane forecasts. We expect to significantly improve moisture fields within the model, leading to a better description of the water budget, and therefore improved hurricane intensity and track predictions. Trimble NetRS receivers and Vaisala WXT-510 weather multi-sensors were installed at various location in the Carribean (see map). The data is downloaded every 30 or 60 minutes from the receiver and placed in the UNAVCO archive. 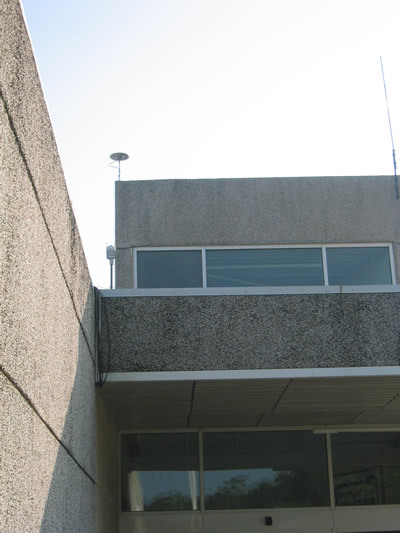 Figure 1 - The Trimble GPS Antenna and Vaisala WXT-510 Meteorological sensor installation location on building roof top on Roatan island, Honduras. Figure 2 - Caribbean map of current, planned and proposed COSMIC GPS/Meteorological station locations. 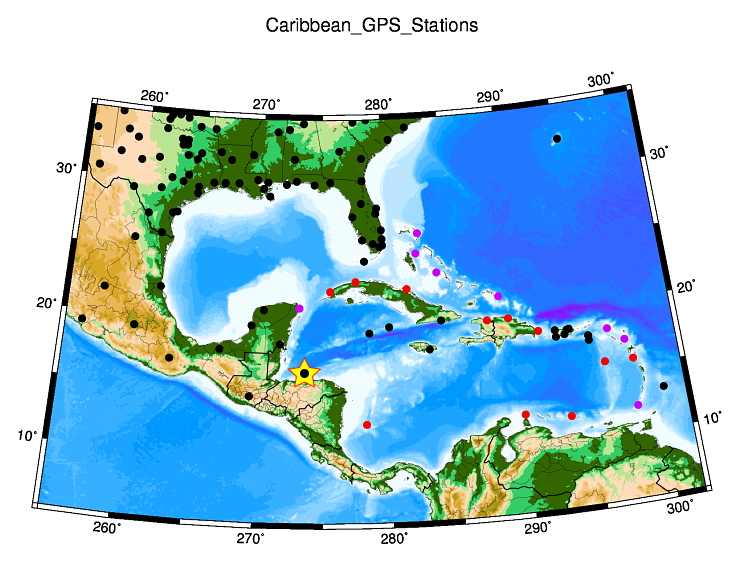 Black Dots: Current GPS stations operating in the Caribbean/Central America. Roatan highlighted with yellow star. Purple dots: GPS stations to be installed in the near future.